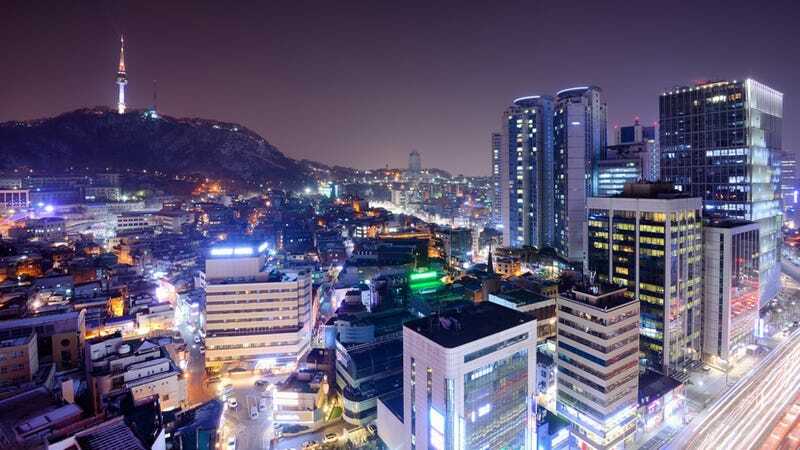 Have you ever wondered about what it's like in the Korean game industry? Like, the good, the bad, and the very, very ugly? Recently, a poll of over one thousand (1,203 people to be exact) folks working in the Korean game industry was collected in "A Report on Game Industry Professional Working Condition." The poll was done between July 31 and August 1 and acknowledges that it's not supposed to be the definitive word on the Korean game industry, but rather, it's a gauge of the current situation. Out of those who replied, 76.6 percent were male, while 23.4 percent were female. A little over 75 percent of them work at a corporation, meaning their game company is listed on the stock market, while 47 percent work at companies with over a hundred or more staffers. • 9.2 percent of the respondents work without any employment contract. • 18 percent were not informed of their pay, vacation and other benefits when/before signing their employment contract. • 8.4 percent of the respondents identified themselves as a regular employee (aka "permanent," not temp) but said they did not have any employment contract. • 34.7 percent of the respondents said they have experienced missing paycheck due to company going out of business and etc. Of that 34.7 percent, 52.8 percent said they were able to get their missing paycheck through legal settlement. That apparently means 16.4 percent of the total survey respondents still have not received some of their unpaid paychecks. • 40.3 percent of the respondents said company pays/subsidizes their lunch, while 32 percent said the same thing for dinner. • 14.9 percent said they get no benefits; 13.4 percent said they get no benefits and work at a corporation; 22.7 percent said they get no benefits and work at a privately owned company. • 48.5 percent said their weekly overtime is less than 5 hours. • When asked they what time they went home yesterday, 48.9 percent said they went home on time; 20.3 percent said they went home after 9PM; 3.2 percent said they did not go home at all. • Eight percent said they've experienced a physical violence at work. Of the respondents Eleven percent of the females said they had experienced physical violence. • Ten percent said they've experienced sexual harassment. Of those, two percent identified themselves as a male, and 36.3 percent identified themselves as a female. The rest, apparently, did not identify themselves. • 25 percent said they have been discriminated/humiliated due to age, education, physical size, or appearance (excluding gender). Of the respondents, 42.7 percent were female. • 11.3 percent said they've experienced some sort of bullying from the company. • 56.3 percent said they've experienced a negative reaction when they told others that they work at a game company. • 13.7 percent said they are embarrassed about working at a game company due to their negative portrayal in the mass media such as news. • 49 percent said they are satisfied working in a game industry. As with any poll, this is what it is: a poll. And it's easy to look at these kind of things in a half-empty kind of way. Still, it's a fascinating peek at the game industry in South Korea.